Product #5668 | SKU YRA-104 | 0.0 (no ratings yet) Thanks for your rating! 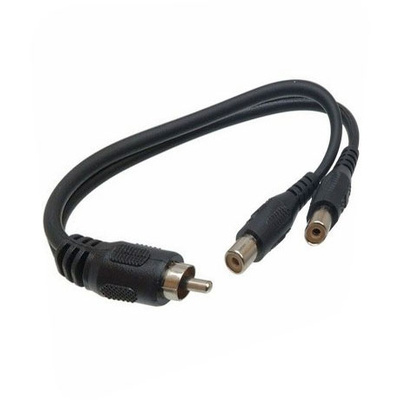 The Hosa YRA104 RCA Y-Cable Splitter (6''). This cable is designed to duplicate a mono signal. This Y-cable is for splitting an RCA female signal to two RCA male plugs, or for combining two signals to one female RCA connector.